Ever heard the story of the eagle’s egg that was placed in the nest of a prairie chicken? When the eaglet hatched, he was raised as a prairie chicken. Instead of soaring in the heights as he was meant to do, he lived like a prairie chicken with the other prairie chickens -- tied to the ground. 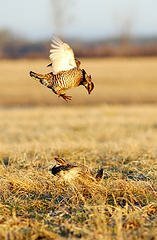 Prairie chickens live in flocks, and they cannot fly very high or very far. Whenever they do fly, it is with great effort of running and flapping their wings. They scratch in the dirt after seeds and bugs, and they do whatever the other prairie chickens do. The eaglet grew up and learned to scratch in the dirt for seeds and bugs. He never flew very far and whenever he did, it was with great effort and flapping of his wings. He only did what the other prairie chickens did. One day he chanced to look up and saw something flying high in the sky. “What is that?” he asked of his prairie chicken companion. And the prairie chicken ran as fast as his stubby legs and flapping wings could carry him, clucking and squawking as he pecked the beetle out of the dirt. It’s an analogy of course, a picture of the world and of the people in the world whose concerns are horizontal, earthly, temporary. They can fly, perhaps, but not very high, and not very far and it takes a great amount of energy. Once we become believers, though, we no longer have to live like prairie chickens – we can live like soaring eagles. But first we have to know there is a difference. Second we have to know what we were meant to be. And third… we have to learn how to soar. I Jn 2:15 Do not love the world, nor the things of the world. 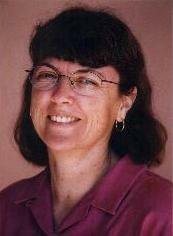 Author of the Christy Award-winning allegory Arena and the Legends of the Guardian King fantasy series.